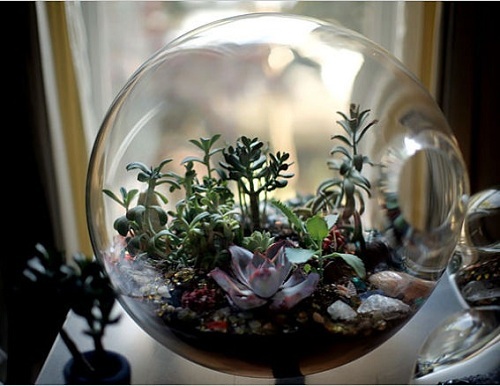 Your house or maybe workplace is approximately to be a site of an continual summer season, because of your classify new glass plant terrarium. You can precisely peer it in your views already. The blossoms will probably be aesthetic throughout the darkest of December days. The carnivorous plant life will nibble absent as Jack Frost beats upon the doorway. You'll ring in the New Year having label new plants sprouting up. It's going to be pretty! The best part is that the whole article has that lovely horse ebooks spam-poetry vibe yet actually makes some good points about terrariums: keep the interior humidity up, don't over water, and don't put your terrarium in full sun.